It’s catch-up time at the New York Times. Start with the dozen slowbituaries the Times published last month in its launch of Overlooked, a sort of death notice do-over. Charlotte Brontë wrote “Jane Eyre”; Emily Warren Roeblingoversaw construction of the Brooklyn Bridge when her husband fell ill; Madhubala transfixed Bollywood; Ida B. Wells campaigned against lynching. Yet all of their deaths went unremarked in our pages, until now. The Times has since added almost a dozen more. It’s a smart series that’s well worth reading. 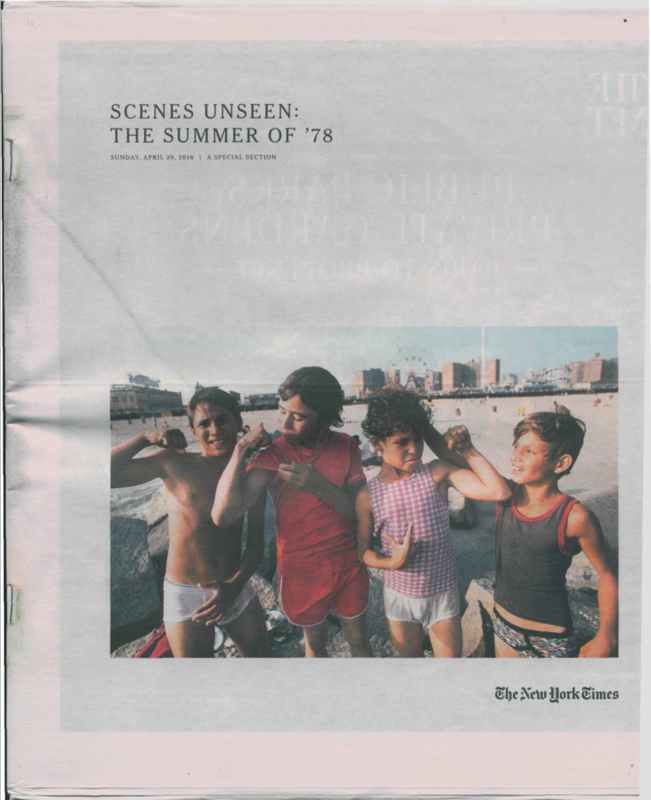 Then yesterday came this attic-and-basement feature, Scenes Unseen: The Summer of ’78. Melina Deltic’s helpful Inside the Times piece yesterday gave the background. It was 1978, the year of a major newspaper strike in New York City, and the year eight Times photographers found interim employment in New York City’s parks department. This Sunday’s special print section, “Scenes Unseen: The Summer of ’78,” features that era and the photographs taken in the parks. It touches on several trends that didn’t last: eight Times photographers’ brief stints shooting for the parks department; the bell-bottoms and tube socks of parkgoers; the decrepit state of city parks in the late 1970s; and the once burgeoning popularity of the tabloid format in the city’s newspapers. This entry was posted in Uncategorized and tagged Charlotte Bronte, Emily Warren, Ida B. Wells, Inside the Times, Jim Dwyer, Madhubala, Melina Delkic, New York City Parks Department, New York Times, Overlooked, Slinky, Slowbituaries, Stove Top stuffing. Bookmark the permalink.